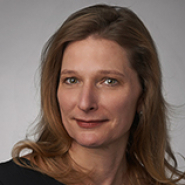 PHOENIX, ARIZ. — The national law firm of Quarles & Brady LLP today announced that Phoenix partner Stephanie Quincy has been named the chair of the Phoenix office’s Labor & Employment Practice Group. The firm’s Labor & Employment Practice Group is listed in “The Go-To Law Firms of the World’s Leading Companies” – a Fortune Magazine supplement – and is highly ranked, both on office and individual attorney levels, in Chambers USA. Quincy is a trial attorney who has defended companies on claims of discrimination and harassment in front of juries and judges, including cases involving multiple plaintiffs. She has handled complex non-competition cases, including obtaining and fending off restraining orders. She also consults with and educates companies of all sizes on employment issues ranging from discipline, hiring, investigation of complaints, and termination, as well as the Fair Labor Standards Act, the Family Medical Leave Act, the Americans with Disabilities Act and Title VII. She represents employers in administrative matters that include discrimination and harassment charges before state and federal agencies. She also defends employers against wage and hour claims in both agencies and the courts. “Our Labor & Employment Practice Group works with clients of all sizes, at virtually any location, over the gamut of industries. The common characteristic among our clients is a need to effectively manage and maximize the human resources capital of their companies—Stephanie is ready to lead our team as we provide each of the critical services in this capacity,” said Nicole Stanton, Phoenix Office Managing Partner of Quarles & Brady. Quincy is recognized by her peers as a leading employment litigator in Chambers USA, Best Lawyers in America, and Ranking Arizona Magazine, and in 2014, she was selected to the list of “Top 25 Women” in Arizona by Southwest Super Lawyers.